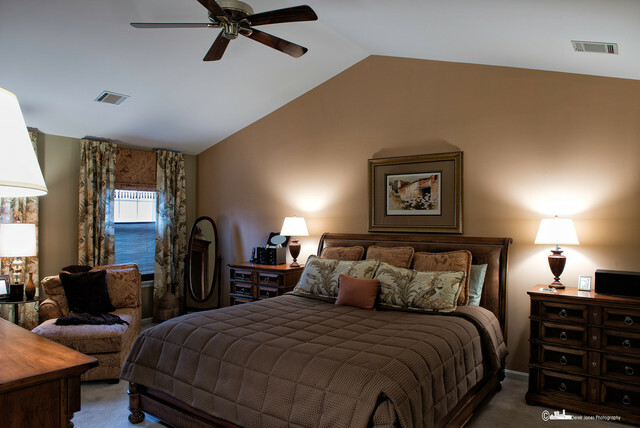 In this Master bedroom we painted the walls a warm enveloping Terra Cotta. The tropical pattern used in the room adds to the Plantation Theme. Gina Fitzsimmons ASID, Annapolis, Md.